Theology. While in BCM, together with Pastor Ronnie Chin, they pioneered Revival Center, KL. Upon graduation, together with his Singaporean wife, Nettie Yeo, they pioneered and pastored Agape Gospel Assembly, Seremban from 1981 to 1989. 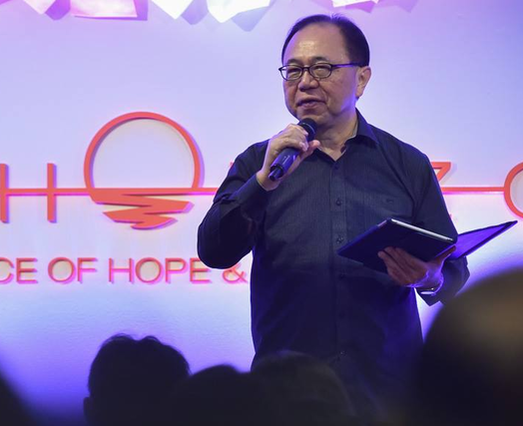 In 1990, he was invited to be an Assistant Pastor in Trinity Christian Center, Singapore. In 1992 he became the senior pastor of Agape Community Church, Singapore. Currently he is the senior pastor of New Horizon Church, a merged church between Agape Community Church and Herald Assembly. Pastor Lawrence Koo is passionate in leadership. He is deeply convinced that local churches must be led by godly and competent team leadership. For this reason, he makes annual trip to attend Global Leadership Summit in Chicago, in order to sharpen his leadership skills. He also travels to China frequently to conduct leadership training in Bible schools and speak to pastors and local church leaders. Pastor Lawrence Koo is a contemporary and practical preacher who communicates the Biblical truth relevantly to everyday life. He believes deeply in building strong churches through home discipleship.